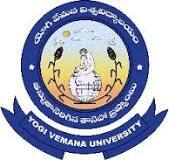 The Yogi Vemana University Distance Education is situated about 15 kms away from the historic Kadapa City on the Kadapa –Pulivendula road amidst serene surroundings and has a sprawling campus of about 700 acres. Presently about 1800 students are pursuing postgraduate and research programmes. Majority of the science faculty have obtained research projects from central funding agencies such as DST/ CSIR/DBT/MNRE / ISRO/UGC/MoES /BRNS /APCOST and considerable number of projects are under progress. Admissions 2016-17 open for India and aboard Country. To update the required skills in order to efficiently compete in the world of cut throat competition. To introduce and design useful, innovative and relevant courses in tune with the needs of society, academia and industry. To equip the students with the required employability skills by providing proper guidance and direction. To ensure complete objectivity in evaluation by following healthy practices. Becoming a seminary for enhancing knowledge and a resource centre for research and socially useful activities. Establishing collaboration with world class institutions with a deep sense of sharing knowledge and its benefits. Enabling and empowering the students by tapping their talents and channelizing their abilities.